An important skill to learn is reading; understanding what the written words in the language, where you live, is important and why you should make time for reading. Without this knowledge, you can miss vital information and you will become isolated from friends and peers as they connect on social media. With the increasing popularity of social media and the need to understand those connections, it has never been more important to help teach children and adults reading skills, it will give them power and control over their own destiny and beyond. If you are trying to get a person to read it is important that you lead by example, technology is a beautiful thing and can help and encourage a struggling reader more than you could imagine. The interaction that you can have with technology to teach reading, by using this in a way that demonstrates how important it is to learn the basics; if you can’t read you are missing out on a completely different experience that the world now has to offer. If you are looking for the perfect way to learn something new or to relax and unwind, the perfect option is to delve into the world of words, it can teach even through the simplest of options and it can help to develop you into the person you have dreamed of being. It is important to make time to relax and catch up with friends and family and there is no easier way to do this than through technology. Unfortunately, there is not an easy way to navigate some of the systems without having basic reading skills. For me this brings back memories of a difficult relationship that I have had with reading and writing; if my teachers at school realised that now I write for a living I think they would be shocked, it was something I loved but found hard. I could read but never found that connection. As a child I wanted so desperately to write, it wasn’t till I found the murder mystery books that I was able to really understood what I wanted from life, shame it took so long for me to express those thoughts and feelings. It is important that you are able to make time for reading; there is so much information that is instantly accessible because of the internet, that if you are looking for inspiration as what to read you won’t be disappointed. If you have problems with reading or your child is not progressing with their reading skills, ask for help. I was very lucky with two of my children. They had no problems reading and learning the concept of how to read. However, one of my children didn’t find this skill easy and struggled, I continued on thinking that the teachers knew what they were doing and then one day I asked if they thought she was dyslexic. The shock I got in answer was ‘what is that?’ It then made me realise that my daughter needed more help and I pushed through independently of the school. I managed to find a specialist who would come into the school to help. I got the help my child needed but I had left it too long believing in the school system; I do wish I had asked those questions sooner. But the important lesson I learned was to make sure I was asking the right questions for my children and that I was taking positive steps to ensure they were getting the best resources to learn. It is important to see that while the book industry is changing, there are more opportunities where skills in reading are even more important than ever. 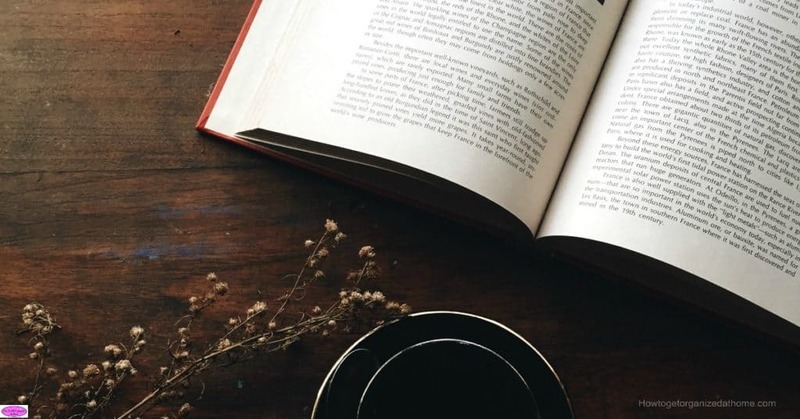 Making time to read is an important aspect of taking your mind to a new place, whether it is learning or enjoyment, reading is a pleasure that is taking pride of place in social media and technology in the current world we are living. Whilst there is still a need to read, less so with teaching and practising handwriting skills, that is a different matter entirely! A good book: a traditional physical book or you could try reading on an electronic device. Somewhere quiet so you can read! The right light so you can clearly see the words! What is your best tip for making time for reading? Comment below! Therefore, while it is possible to get away with the basics in reading, you open the world up to a whole new level by learning or, at the very least, improving your reading skills. Looking for more articles on books, Tips For Storing Books is a great article to read! That’s a good point that people around you might be encouraged by your behavior. This is a good way to get a child or sibling to read more. Reading also helps maintain your mental health.